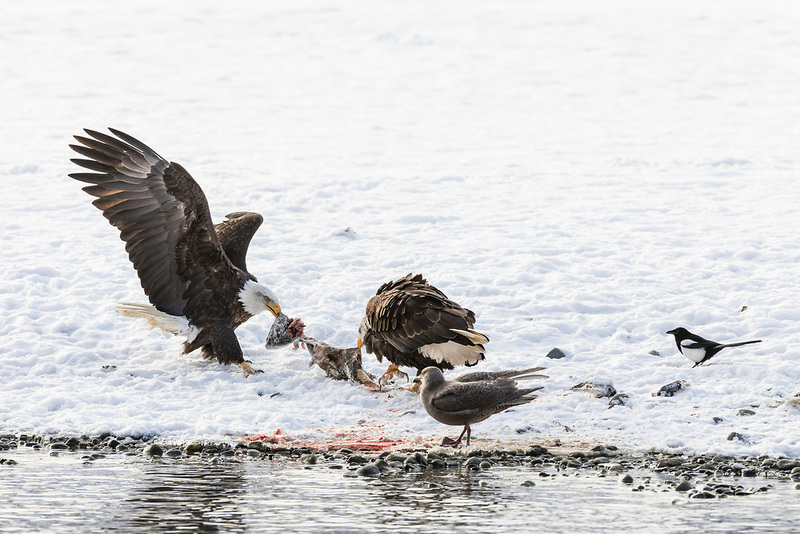 Bald Eagles (Haliaeetus leucocephalus) in a tug of war over the same salmon scraps along the Chilkat River in the Chilkat River Bald Eagle Preserve in Southeast Alaska. Winter. Afternoon.